Articles from the August 23, 1930 (Vol. 12, No. 34, Whole No. 714) issue of the Industrial Worker, the newspaper of the revolutionary union, the Industrial Workers of the World (IWW). 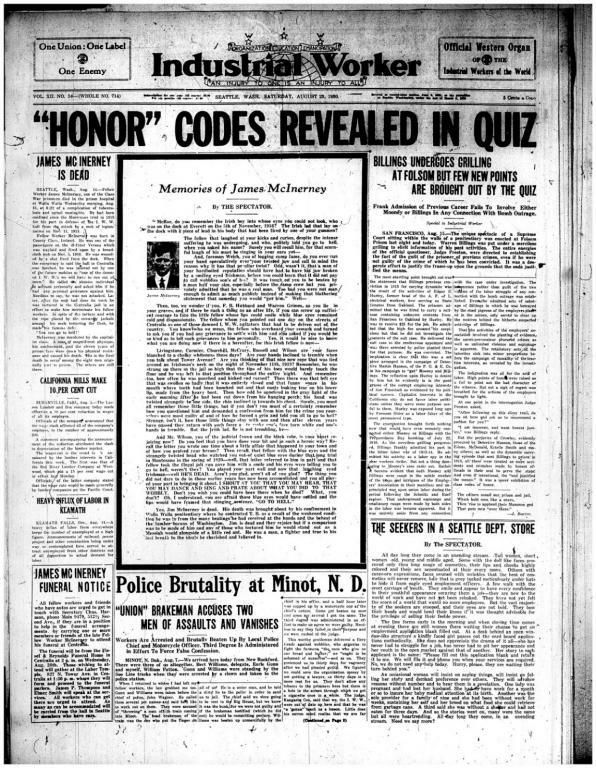 -Police brutality at Minot, N.D.
-Editorials: Class codes of "honor"